Garcia Concedes: "We Didn't Lose Today, We Tried Today"
“We didn’t lose today, we tried today,” mayoral challenger Jesus “Chuy” Garcia said as he conceded the race to incumbent Mayor Rahm Emanuel on Tuesday night. 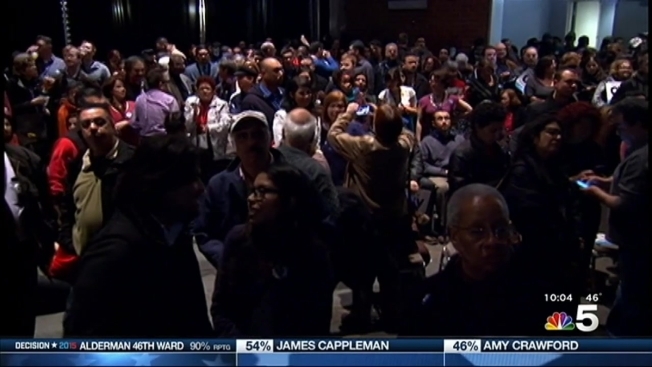 With nearly all voting precincts reporting results, Emanuel won with approximately 56 percent of the vote compared to Garcia’s 44 percent. Garcia began his speech by congratulating the incumbent mayor. The defeated candidate went on to tell the story of his experience coming to Chicago as a child from Mexico nearly 50 years ago. Garcia admired the turnout of Tuesday’s runoff election and displayed hope for a better future in the city.